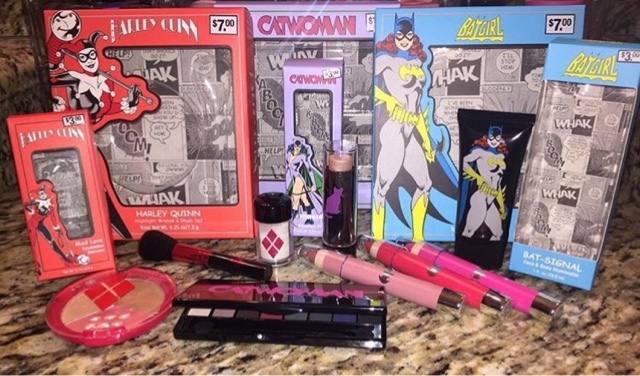 This collection is exclusive to Walgreens and like others in the past it features makeup brushes and makeup bags by London Soho as well as makeup. 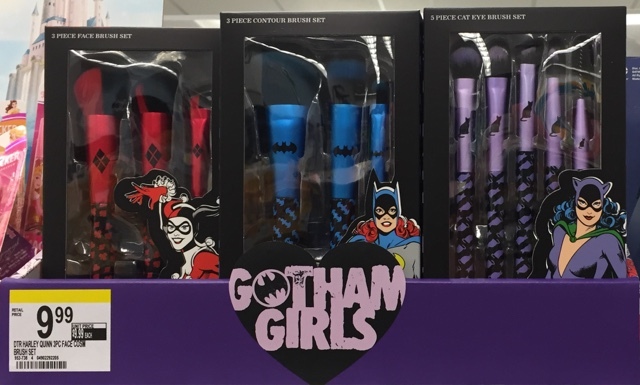 Each of the Gotham Girls have their own makeup brush set in shades that match their classic costumes. Each set features different brushes so you can buy all three sets to have a complete brush set for the face and eyes. I have similar brush sets from previous collections and the quality is good. It's what you'd expect from a drugstore so don't expect Hakuhodo quality. I find them similar to e.l.f. brushes. 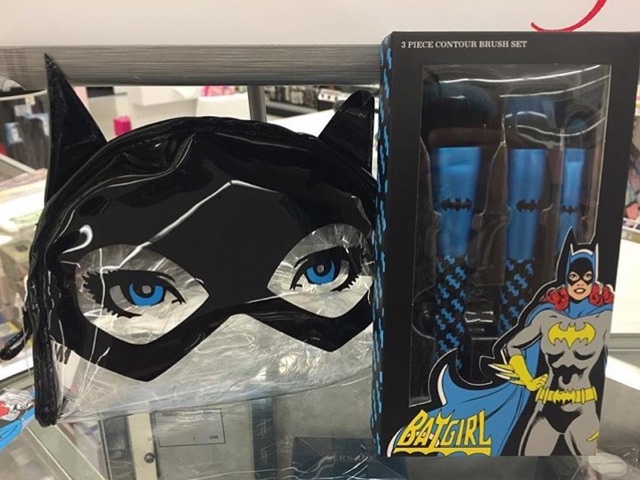 Here's the Batgirl makeup bag ($7.99) and contour brush set ($9.99). Such a good looking pair. Btw these are the same brushes that were in the previous Barbie brush set I purchased just with a different design. This may be true of the brush sets in this collection as well if you previously purchased sets from other collections. 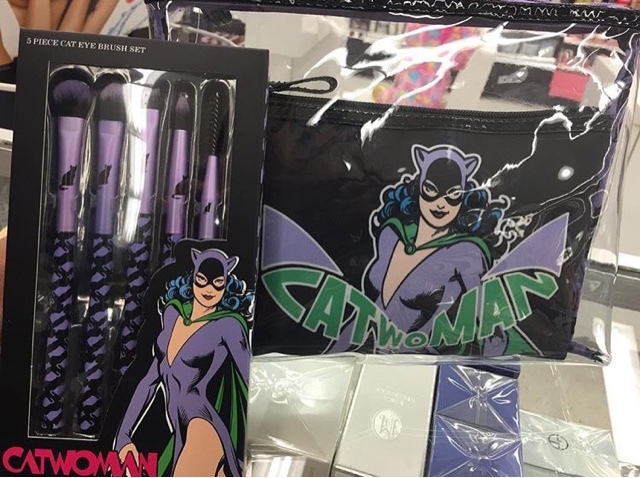 Here's the Catwoman makeup bag and brush set ($9.99 each). 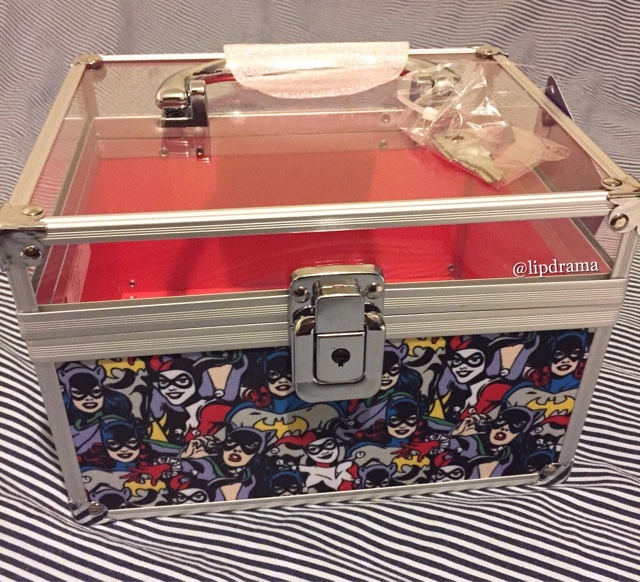 There's always three sizes of makeup bags with these Walgreens collections. This is the medium size but you get 2 for 1. Use them together or separately. The brushes in this set are all for the eyes. 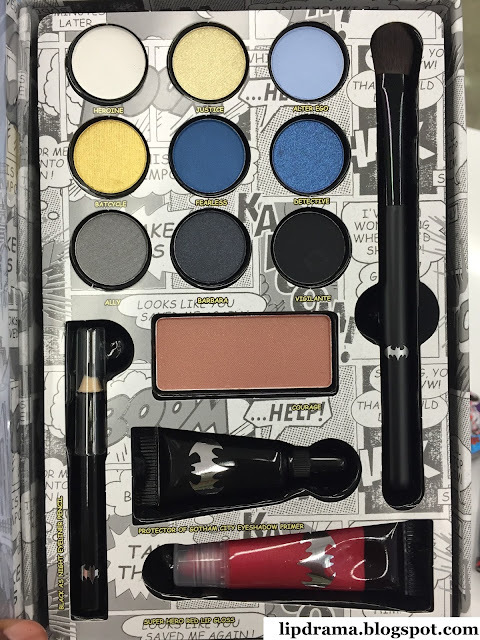 It features a blending brush, shader, angled liner, pointed eyeliner and brow groomer. 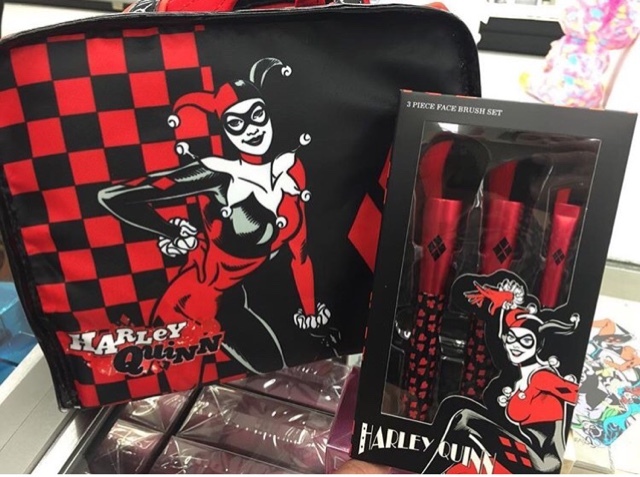 And the last set is Harley Quinn's makeup bag, which is referred to as a tote ($11.99) and face brush set ($9.99). Huge thanks to Yani (@glamourbyyani) for allowing me to share these pics. I haven't seen anyone post about this one yet and so I was excited when I found it. I got this straight out the back room so I don't know if this had it's own display or not. 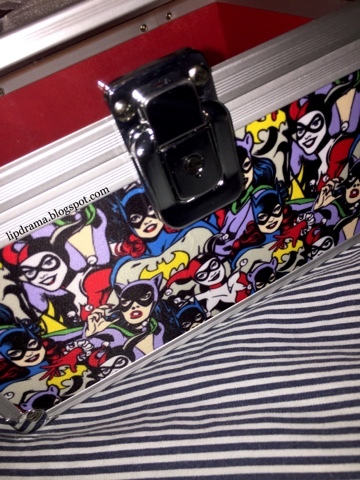 This train case is $16.99 and it's the first I've seen from these Walgreens collections. I just couldn't pass it up some it has all the characters on it plus I could actually use it to store some stuff. The makeup bags are just too small for my needs and I have a bunch already. Now on to the makeup in this collection. 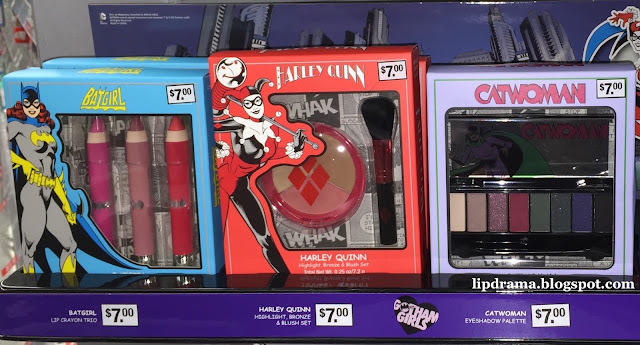 I was bummed to see there weren't any lip products but I think they may be in a separate display like they were for the previous collection along with a nail polishes as well but we shall see. For now let's delve into what we do have. 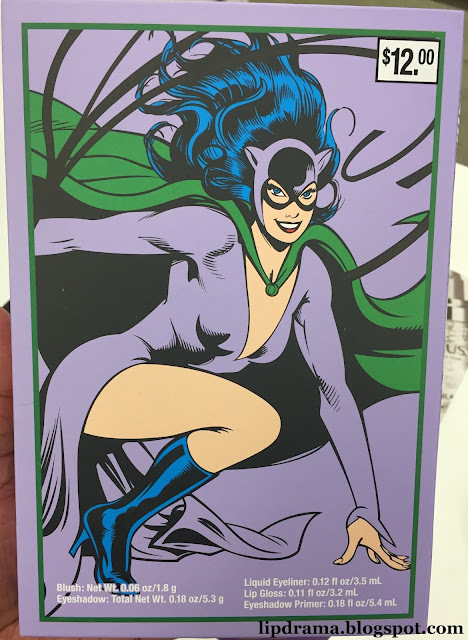 If you've purchased from some of the past Walgreens collections then you probably notice some repeats, which is unfortunate. 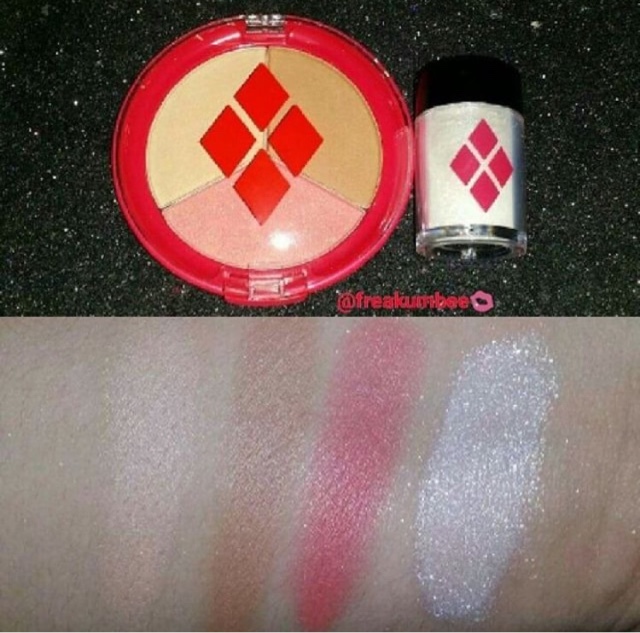 The Harley Quinn Eyeshadow Shimmer is the same as the Ursula one from the Villains collection and the Catwoman Highlighter Stick is not likely the same one released in The Dare to Dream collection (Pocahontas). 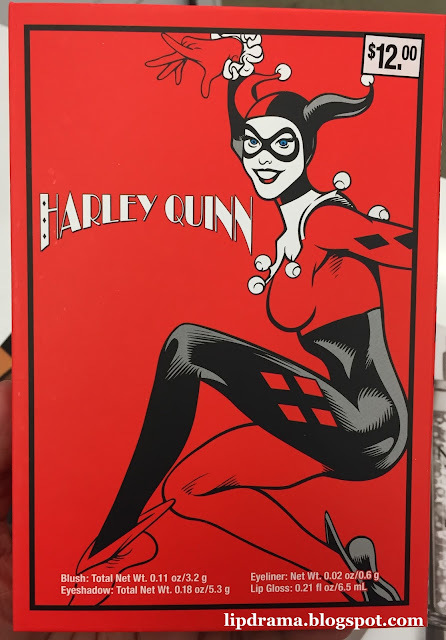 And here's more from the collection that I just started seeing pop up in my stores. These collections never seem to be displayed all at once. You always go back and find more. 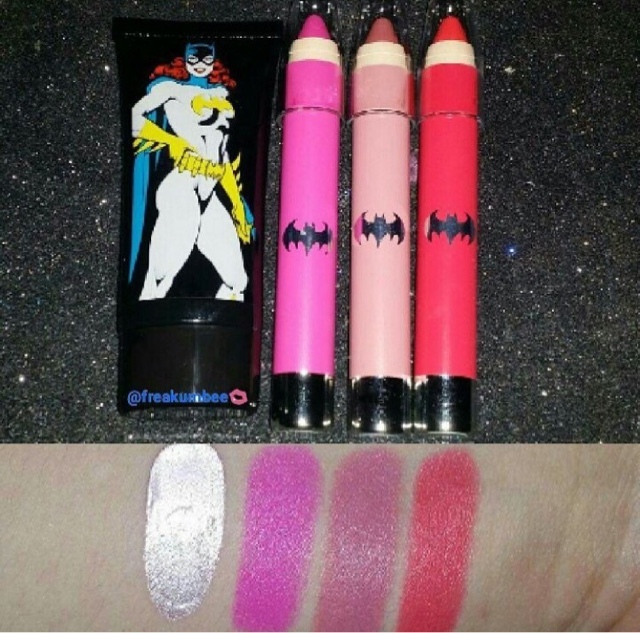 I haven't found these yet but I'm super excited for these Tattoo Junker liquid lipsticks. I've been curious to try this brand and now it's even better that these will have a geeky twist to them. Definitely picking up Batgirl. Not sure about the others yet. 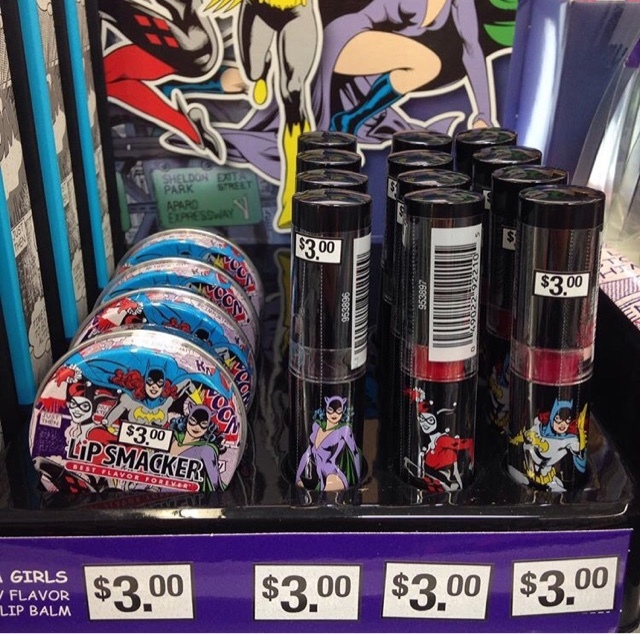 And of course there are lip products. I showed my local Beauty Advisor at Walgreens this pic and she went to their stock room to pull it out for me. Had to get everything. I mean for $3 each, why not?! I haven't swatched the lipsticks yet but I will soon. 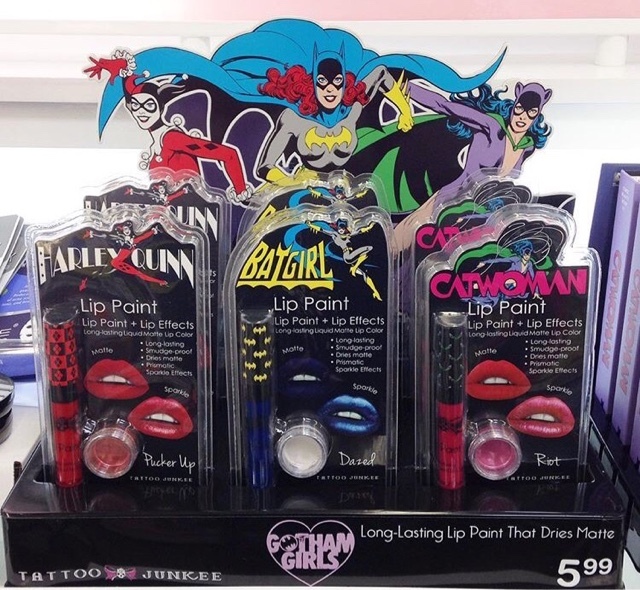 Catwoman's shade is a vampy dark purple purrfect for Fall, Harlequin's is cherry red and Batgirl's is medium-dark pink. Huge thanks to @dontsugarme for letting me share her pics. 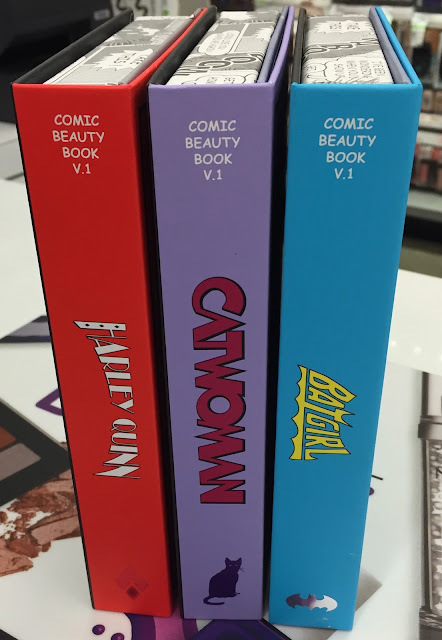 As usual this collection has Beauty Books as well priced at $12 each. 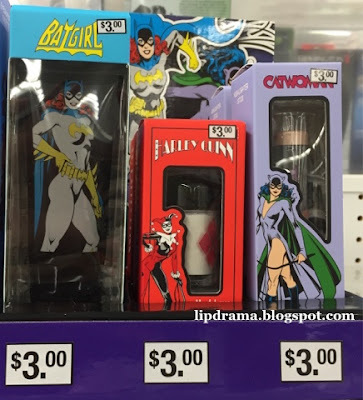 I love the concept especially for makeup collectors like myself as it makes it even more of a reason to display these because if you've been collecting a few of these they all look great all lined up on a shelf or on your vanity. 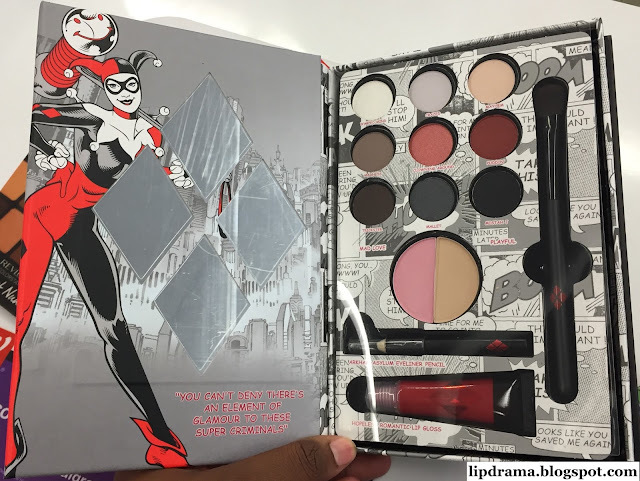 Each Beauty Book has a mirror inside as usual in a design unique to the character along with products inside marked with the character's chosen logo. 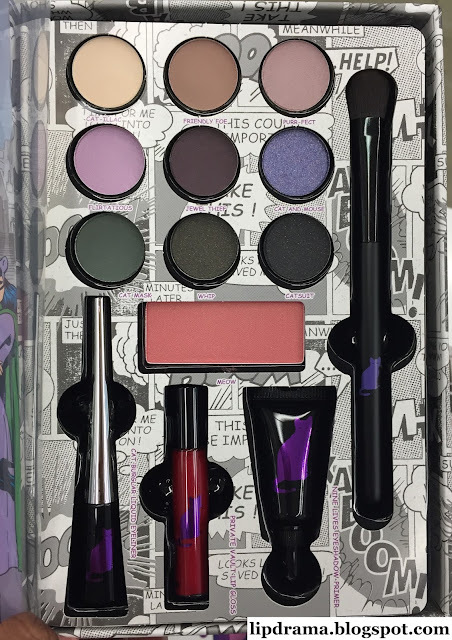 You'll find each Beauty Book has 9 eyeshadows, eyeshadow brush, eyeliner and lip product in common along with two other products that may differ but they all have the same total net weight. 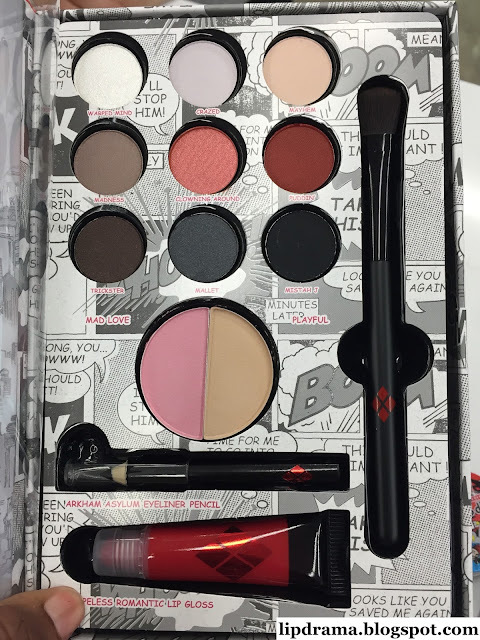 In the Harley Quinn Beauty Book the two additional products are cheek products– blush and contour powders and the eyeliner is in pencil form. 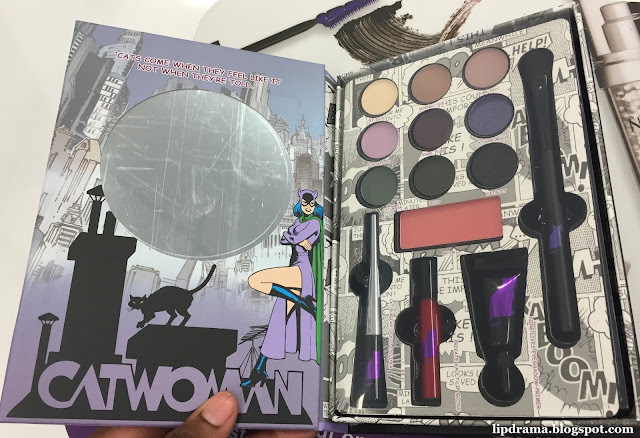 The differing two products in the Catwojan Beauty Book are a blush and eyeshadow primer with the eyeliner being a liquid one. 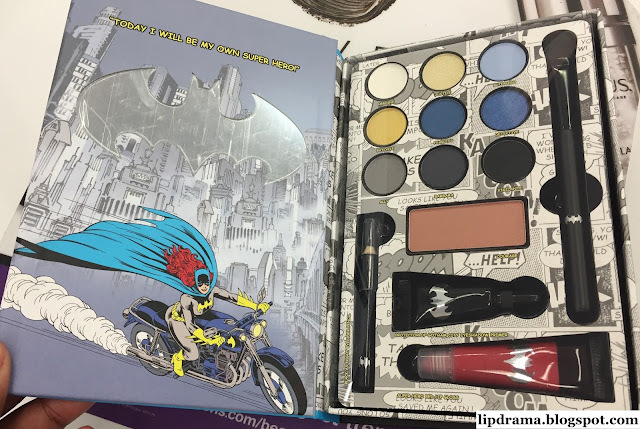 Like the Catwoman Beauty Book, the Batgirl Beauty Book also has a blush and the same eyeshadow primer while it's eyeliner is in pencil form, the same as the Harley Quinn Beauty Book. 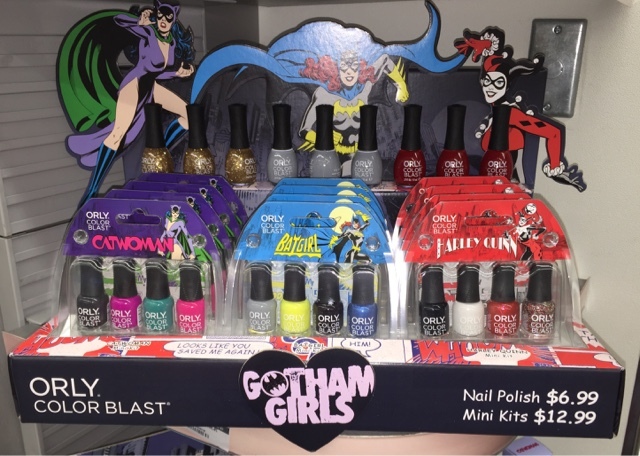 Of course there's the Orly nail polish sets and singles as usual. Sorry forgot to take closeups. 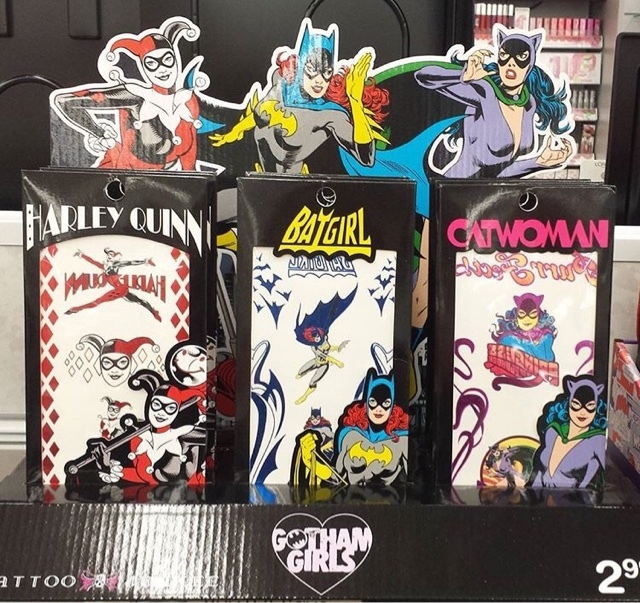 They even have temporary tattoos ($2.99) as well thanks to the new addition of Tattoo Junkee as a brand for these Walgreens exclusive collections. There's usually hair accessories as well by Scünci but I haven't come across it yet. This collection has been spotted in stores for over a week now. Sorry for the delay in posting as I've been trying to track his down myself. So you should find these in most locations by now (or soon) and they usually are available online as well but it hasn't been added just yet so keep an eye out if you can't find these or don't have a local location to visit.